Normative rhetorics of inclusion, participation, collaboration and transparency permeate institutional discourses but metrics and hard data on large-scale process performance are elusive. My research focuses on high performance participatory systems and the potential contribution of collaborative geovisual and geospatial systems to better governance. For example, the Structured Public Involvement or SPI protocol has been adapted and applied to a wide range of public goods management issues from nuclear plant remediation and energy futures to transit development and urban planning. I am interested in testing cultural factors that shape response to participation methods including SPI and in developing an international participation action collective to identify and address the interstitial and paradoxically non-fundable questions of how to make participation work for the so-called silent majority. Intersections between governance and public goods management. Design, delivery and measurement of high-performance collaborative systems e.g. participatory GI Science using geovisualization and geospatial systems. Internationalization and English langauge learning in East Asia. Development of geovisual and geospatial methods to improve process quality. Definition and validation of stakeholder Q(quality)-metric for process quality. Innovator and co-developer of the Structured Public Involvement protocol; Casewise Visual Evaluation; Analytic Minimum Impedance Surface methods. Defined and measured Arnstein Gap. Competitive research funding, including NSF, FTA, FHWA and Arizona Board of Regents. Projects include large context-sensitive bridge design, nuclear plant end-state land use planning; transportation and land use planning; electric power transmission line and highway corridor routing; transit-oriented development; noisewall design; highway rehabilitation; design for highway safety; predictive archaeological modeling. Collaboration with Federal, State and local governments, NGOs and private contractors to design and deliver high-performance public involvement protocols. Numerous national and international workshops, training classes and presentations delivered. All work accomplished with partners Dr. Ted Grossardt (University of Kentucky) and Mr. John Ripy (University of Kentucky) as well as numerous other collaborators in civil and electrical engineering, planning, architecture, landscape architecture and public administration. 2018. Transportation Planning and Public Participation: Theory, Process and Practice. Elsevier. 2018. Collaborative Geodesign for Alternative Fuel Station Location Using "Collablocation" Software. Transportation Research Record. (Kuby, M., Bailey, K., Wei F., Fowler, J., Tong, D., Zhong Q., Lopez, O., Shaeffer, W.). 2012. "Towards Environmental Justice in Transportation Decision Making with Structured Public Involvement." Transportation Research Record 2320: 102-110 (with T. Grossardt, J. Ripy). 2011. "Planning, technology, and legitimacy: structured public involvement in integrated transportation and land-use planning in the United States." Environment and Planning B: Planning and Design 38(3): 447 – 467 (with B. Blandford, T. Grossardt, J. Ripy). 2010. "Towards Structured Public Involvement: Justice, Geography and Collaborative Geovisual/Geospatial Decision Support Systems." Annals of the Association of American Geographers 100(1): 57-82 (with T. Grossardt). 2010. "Use Of Structured Public Involvement For Identifying Community Preferences For A Superfund Site End State Vision." World Environnemtal Water Resource Congress. American Society of Civil Engineers. (With T. Grossardt, J. Ripy and B. Blandford). 2009. "A New Method for Public Involvement in Electric Power Transmission Line Routing." Institute of Electrical and Electronics Engineers Transactions on Power Delivery 24(4): 2240-2247. (With W. Jewell, T. Grossardt, R. Gill). 2007. "Structured Public Involvement in Context-Sensitive Large Bridge Design Using Casewise Visual Evaluation: Case Study of Section 2 of Ohio River Bridges Project." Transportation Research Record 2028: 19-27. (With T. Grossardt, J. Ripy, L. Toole, J.B. Williams and M. Dietrick). 2006. 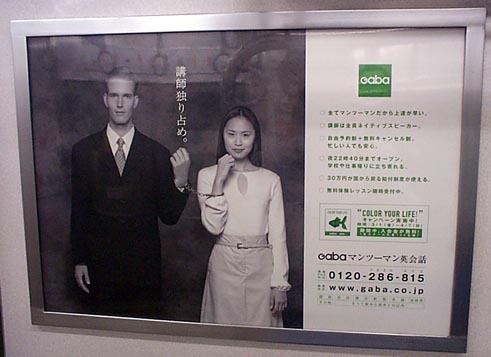 Marketing the eikaiwa wonderland: ideology, akogare and gender alterities in English conversation school advertising in Japan. Environment and Planning D: Society and Space 24(1): 105-130. 2006. Addressing the Arnstein Gap: Improving Public Confidence in Transportation Planning and Design through Structured Public Involvement (SPI). pp.337-341 in Proceedings of the 11th International CORP Conference on Urban Planning and Spatial Development for the Information Society. CORP: Vienna, Austria. 2002. Integrating Visualization into Structured Public Involvement: Case Study of Highway Improvement in Central Kentucky. Transportation Research Record 1817: 50-57. (With T. Grossardt, J. Brumm). For more on SPI, simply Google "Structured Public Involvement"
For more on the eikaiwa wonderland, just Google "eikaiwa wonderland"
B.Sc. 1991. Geography. University of Birmingham.